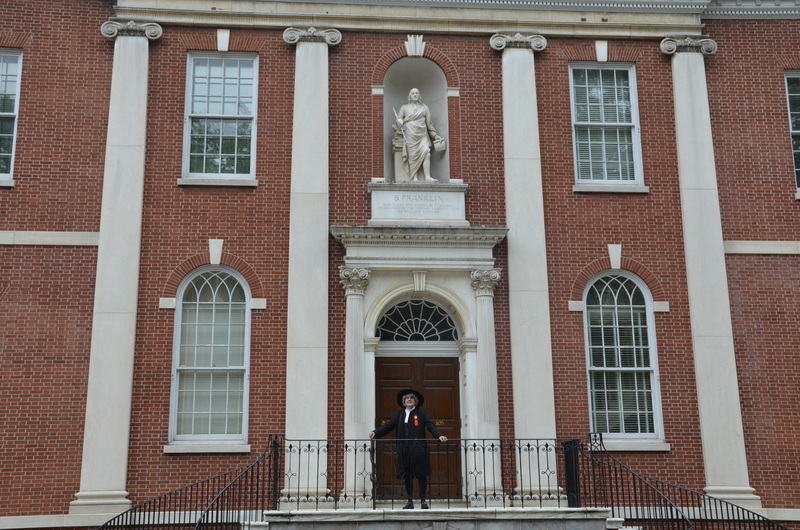 A Seeker After Trees and Truth « John Bartram Lives! In my searches I have discovered many new genus and species of plants. I have also discovered amongst the roots of nature a trail that leads straight to God. Quarere Deum. Search for God. Did I know that I was searching for God along the trails, among the natives, abreast with fellow seekers? Life always becomes more clear by the nearer you come to the end of the story. 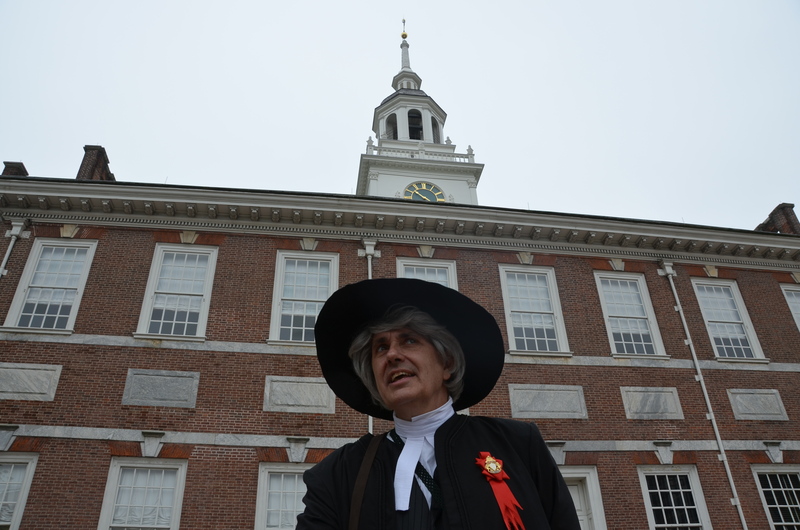 John Bartram traveled far and wide to discover new genus and species. 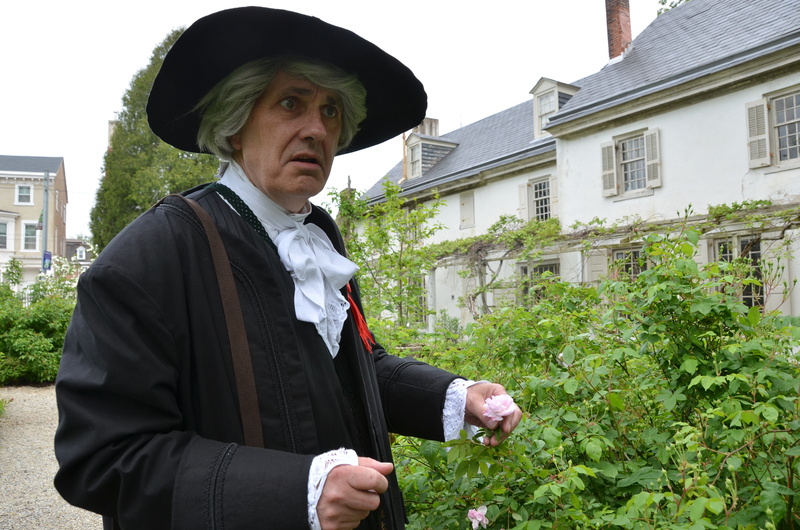 Here is admires the prized antique roses at another Quaker garden: Wyck. Perhaps through self-revelation, the Latin word for Oak is quercus. Derived from the same Latin root. It is the stately tree in ancient forests to which the mages, priests, elders and sages traveled to question their natural gods. It was the tree through which all answers came. 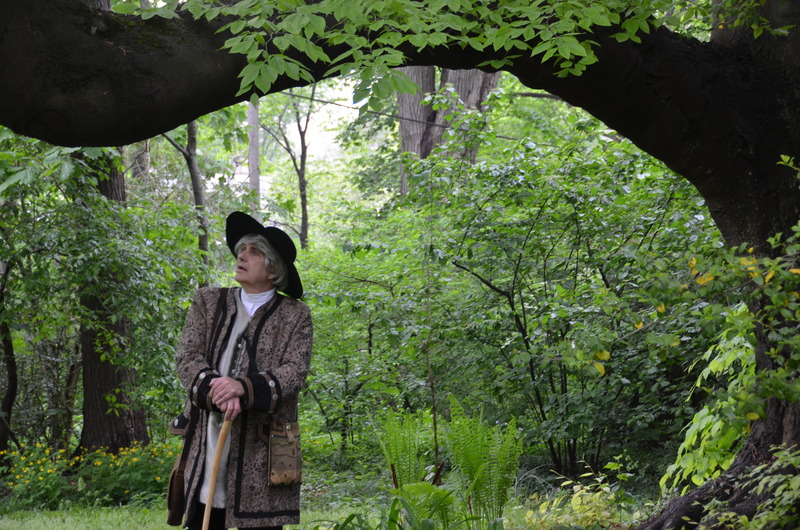 John Bartram under a record-holding tree. Regardless of genus or species, he invariably traveled out of his way to see the premiere example of the plants he went on to collect. I question everything and notice much. My quest is to discover the reasons for God’s handiwork. As a quester, I strive to extend the reach of man’s knowledge to benefit all and praise a benevolent deity. I am a quester. Then. Now. Forever. I will be appearing with others of my stock when the Moland House Questers gather on January 9. I look to meet and greet as many as I may. My spirit will forever stay young in the search for wisdom and knowledge and fellow travelers! I look out over a new landscape of days circled on the calendar and wonder how it all happens. There is a whole lot for which to be thankful. Not the least of which are good friends with warm memories. Stay well. 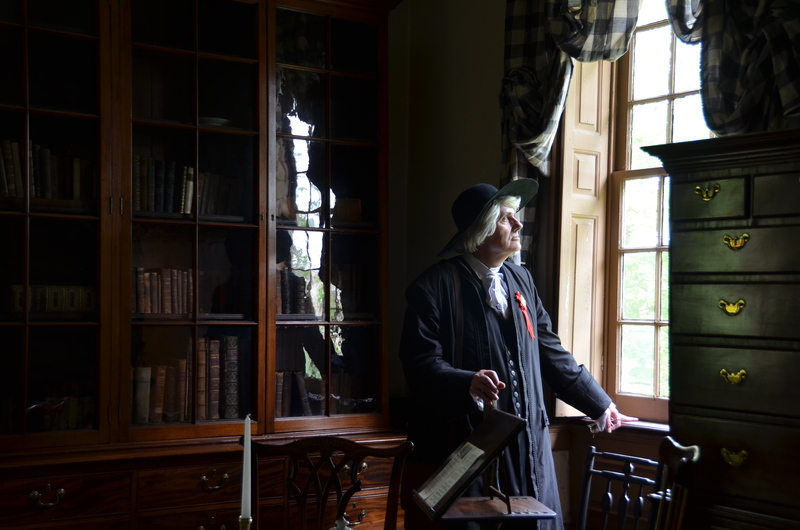 John Bartram is putting together a wonderful memory album. I am looking forward to more of his travels and experiences.